Joerg Hoppe (http://retrocmp.com/projects/blinkenbone) has a very useful set of tools for reactivating control panels of old systems. 1 a beaglebone black, a "cape" for the beaglebone that provifes RS232. I have used this to bring an old PDP 11/70 panel back to life. 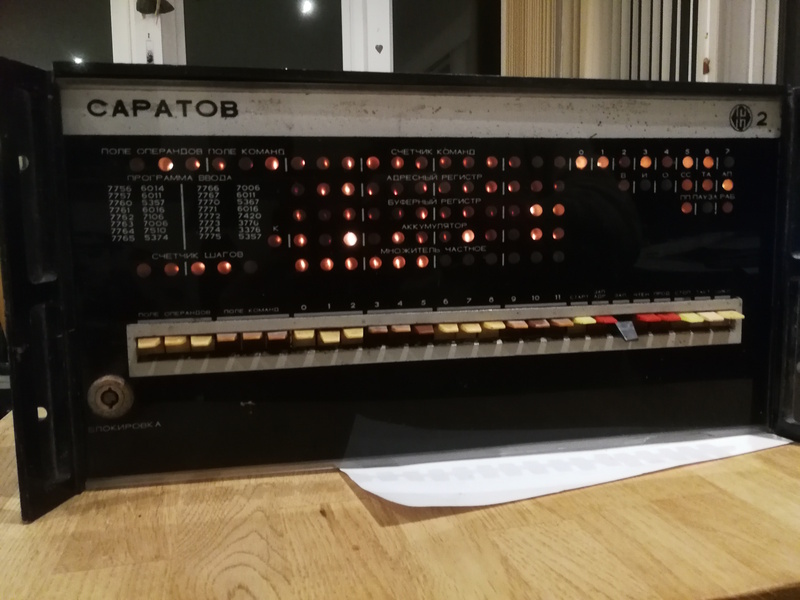 I am working on a saratov-2 front panel and a PDP-8 front-panel at present. The beaglebone can run SIMH - and so you have a unix emulator available to drive the panel. If you have lights and switches to drive/read his toolkit is a quick way to get started.